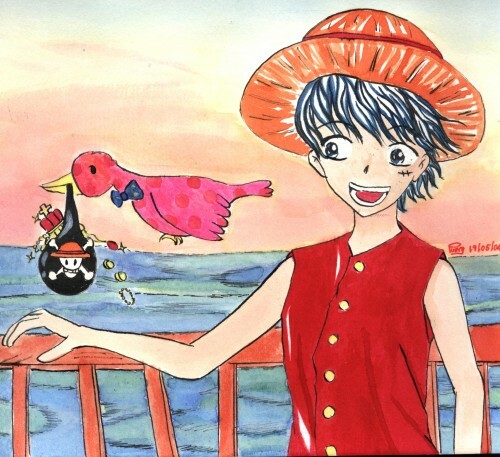 One Piece: Look out !That bird! Minitokyo »	One Piece Indy Art » One Piece: Look out !That bird! Capton! That bird is stealing your thing?!? This belongs in the Doujinshi section, not abstract art. Can you please move it before someone reports that it's in the wrong section? I like the coloring a lot!